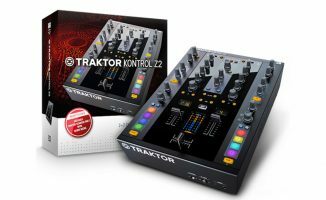 Despite all the newest digital DJ controllers with the latest whizz-bang features and multi-channel effects and pad banks, sometimes you just need a solid, two-channel analogue mixer to DJ with, particularly if you want to get your scratch game on and don’t need extra bells and whistles. 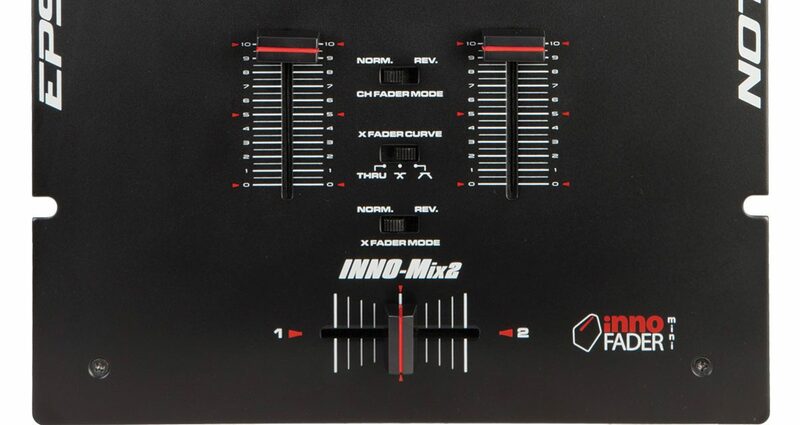 The Inno-Mix 2 seems very much like the DJ-Tech DIF-1S scratch mixer: It’s got the same two-channel configuration with three-band EQ and kill switches for each EQ knob, two volume faders, and the aforementioned Mini Innofader built-in. 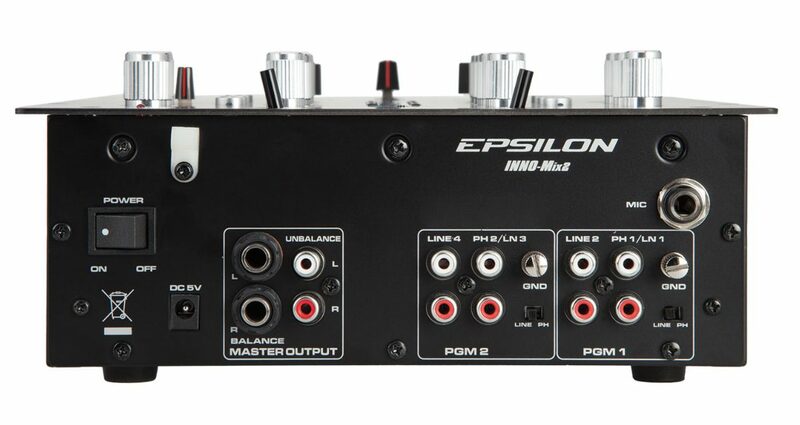 There are switchable phono/line inputs for connecting turntables or CDJs, as well as a 1/4” jack for connecting a microphone which has its own EQ section and talk over switch. It’s quite weighty thanks to its all-metal enclosure, but just enough to feel like it’s a substantial piece of hardware instead of a plasticky controller, which of course is a great thing for such a low-priced mixer. You have the option of 1/4” jacks for balanced outputs in the Master section or a pair of RCAs for unbalanced connections. There is only one 1/4” output for your headphones. There’s a switch to choose among three different types of crossfader curve options, and switches for reversing both the volume faders and the crossfader in case you want to operate that way. The Inno-Mix 2 has three-band, full-kill isolation EQs, which totally remove the associated frequencies depending on which knob you turn fully counterclockwise. Kill switches are also available for each of the three EQ knobs. I received the Inno-Mix 2 as part of the Inno-Propak package, so I just hooked up the included turntables to the back of the mixer as normal. 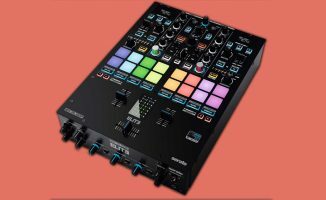 Again, this is a very straightforward mixer without any DVS inputs/outputs or an onboard sound card, so there really isn’t anything else to do aside from hooking up your decks to it, and then hooking it up to a pair of speakers. I really like how smooth the Mini Innofader is, but you probably know that already, given its excellent reputation as the crossfader du jour for many scratch DJs. I’d like to point out that the volume faders are also quite good, with a very loose feel unlike what you might get with other mixers at this price (the Akai AMX is one such mixer with sticky line faders, which I was a bit disappointed to discover after unboxing…). The EQ knobs are plastic with centre detents, so I really can’t say that they’re anything to write home about, however, I will mention that they are full-kill EQs that don’t feel cheap when you twiddle them since they have a nice weight to them. The kill switches beside each EQ knob aren’t as stiff and springy as some higher end mixers, but that’s admissible at this price point. In fact, it’s added value that Epsilon-Pro even decided to included kill switches here, and they are certainly welcome. 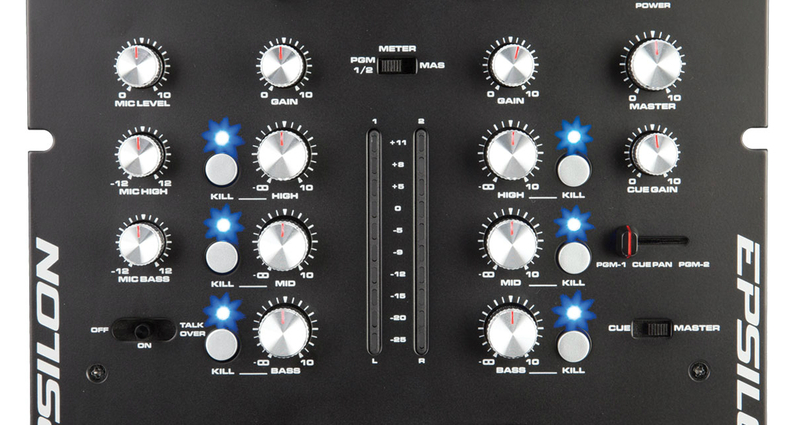 What most digital DJs will find lacking with the Inno-Mix 2 are dedicated filter knobs, which have seem to become a standard part of most modern controllers, but I imagine that it would bloat the feature set of this mixer if they tacked a pair on. After all, this is a straight up battle mixer. I’d take an Innofader over a pair of filters any day when I’m scratching! I really like how the Innofader has upped the game for many entry-level scratch mixers: Having one of these as a crossfader ensures a consistent cutting experience in even the most budget of beginner models that have it. Speaking of the Innofader, the Inno-Mix 2 lets you switch among two crossfader curves: One lets you fade between the two channels smoother by blending both channels when the crossfader is positioned in the middle, and the other has a sharper curve, letting you execute quick cuts between channels, making it perfect for fast scratches. I prefer an adjustment knob that lets you fine-tune the crossfader curve. You can also opt to bypass the crossfader altogether and just use the volume faders to bring the two channels in and out by moving the curve switch all the way to the left. Cueing on this is achieved through a small fader in the monitor section that lets you blend between both channels, but there’s no way to listen to both the cued channel and the Master section; you can only switch between hearing “Cue” or “Master” on your headphones, so this may irk some DJs who plan on beatmatching with this mixer and want to hear both the cued channel and whatever’s coming out of the Master section in their cans. You’ll have to rely on good old fashioned booth monitors to get that done. The Inno-Mix 2 has both balanced and unbalanced outputs, as well as enough inputs for up to four media players, or two turntables and two CDJs. Note that you’ll have to use this with the included wall wart power supply instead of the more common three-prong power cable. So is the Inno-Mix 2 the mixer for you? If you’re looking for a decent scratch mixer with very basic functionalities for a small spend, this should be on your shortlist. 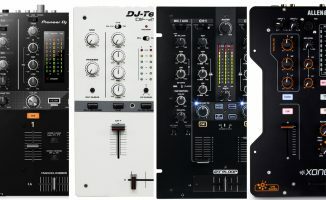 Alternatively, if you want a fully analogue backup mixer in case your DJ controller craps out in the middle of a gig and you have to perform with CDJs, turntables, or other line level devices, this also ticks that box. It feels rugged device thanks to its all-metal enclosure, and can no doubt stand the rigours of the road provided you’ve got a case for it (I’ve got a feeling those EQ knobs might bend ever so slightly if you’re used to throwing things in a rucksack). I haven’t tried pouring pints and ashing it with a tour’s worth of cigarettes yet, so I can’t attest to how reliable those faders will be in the long run, but then again that’s just being plain careless if they get caked in dust and last night’s beer. The Inno-Mix 2 is most effective (and economically attractive) when bought as part of the Inno-Propak bundle, which pairs it with two turntables for a “DJ-in-a-box” experience. Join that with Denon DJ’s upcoming DS1 soundcard, and you’ve got a rather able Serato DVS set-up for under US$1100. If that isn’t awesome value for DJs at any level, I don’t know what is! 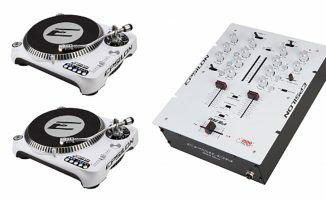 What do you think about this scratch mixer? Would you be interested in something like it as a backup for your gigs? 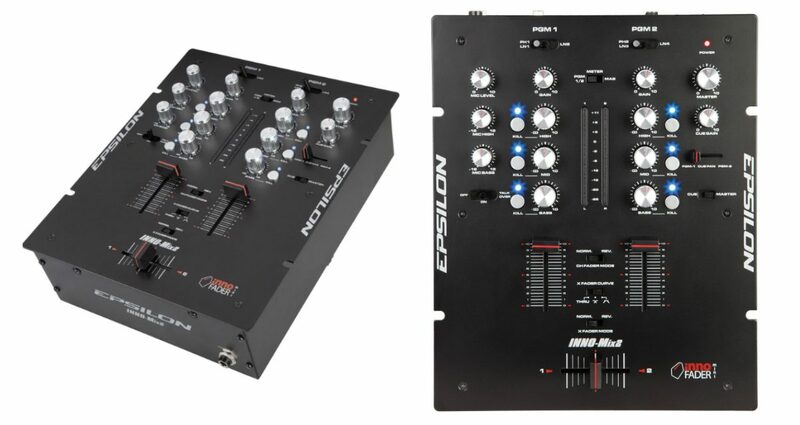 Do you think the “two decks and a mixer” package still appeals to the modern digital DJ? Let us know your thoughts in the comments below. I bought a DJ-Tech DIF-1S as my back up mixer, but it had no master cue, WTF. So now I have a Stanton M203, which is almost half the price of this mixer. But this would have been perfect, a nice balance between the 2 for a good price! I remember seeing a mod for it that gave you a faux-master cue somewhere online. It involved soldering some RCA leads, but I never got around to doing it!